Featuring more than 750 new, modern images, the Lippincott Williams & Wilkins Atlas of Anatomy is a vibrantly colored regional atlas of human anatomy offering an unprecedented combination of visual aesthetic appeal and anatomical accuracy. 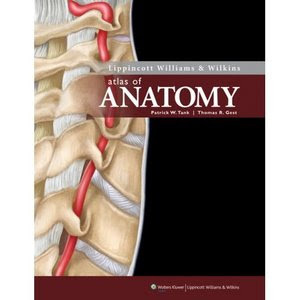 Many student-friendly features set this atlas apart from others on the market, including a unique art style featuring bright colors, color coding of anatomical elements, judicious use of labeling, and no extraneous text. Each plate is designed around a teaching/learning objective, providing immediate focus and resulting in easier and faster comprehension. This unique pedagogy, in combination with the atlas' beautiful art style, will make this new anatomy atlas the preferred choice of teachers and students alike. Packaged with the atlas is an online interactive atlas with all of the images, including fully searchable legends and labels and "zoom-and-compare" features. Also included are electronic flash cards that permit students to test their knowledge of newly learned concepts and structures. "Doody's Core Titles™ 2009."